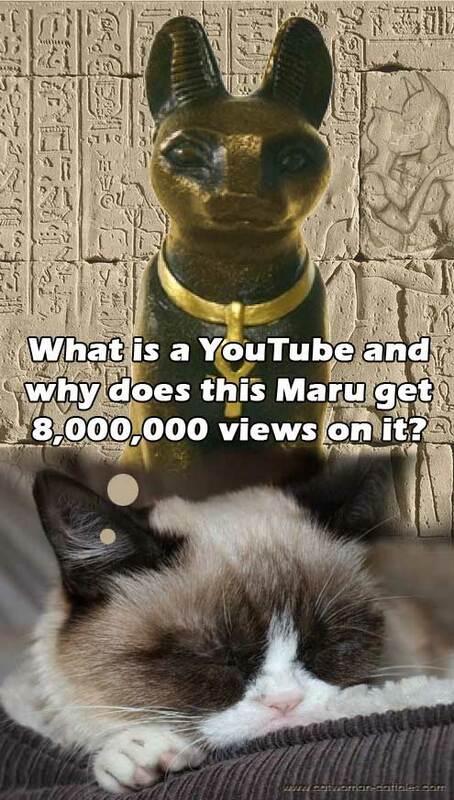 What is a YouTube and why does this Maru get 8 million views on it? It’s Respect Your Cat Day. Now, Cat-Tales may be a series about Batman and Catwoman, but Selina’s cats Whiskers and Nutmeg are by far the most popular original characters. They steal every scene they’re in from Whiskers long-standing grudge against Batman for messing up his planter with the cape in Secrets to their arrival at the manor in Highland Games. What better excuse do we need to celebrate Respect Your Cat Day with by taking notice of the original Grumpy Cat.